Action. Adventure. Fantasy. And a handsome silver-haired half demon in a bright red-cloak sweeping through the air to slash down fearful demons with his Tetsusaiga. Yes, folks, you got it. Today we are going to put forward our opinion on Rumiko Takahashi’s masterpiece, a Japanese feudal fairy tale, Inuyasha. 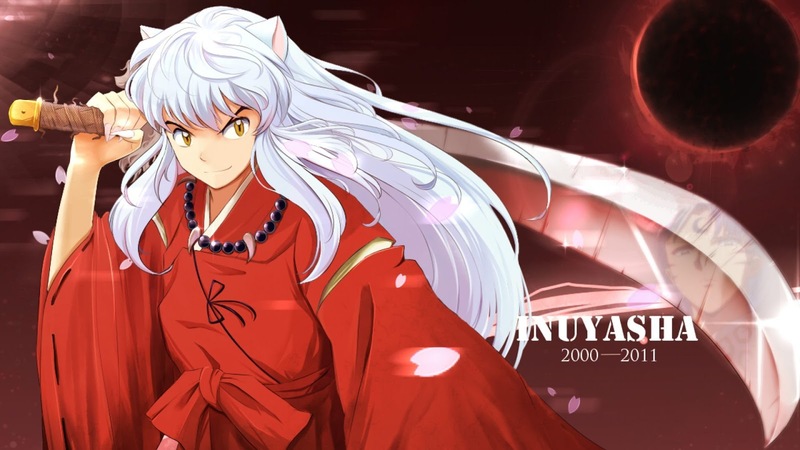 Inuyasha first started out as a Japanese manga series written and illustrated by the absolutely brilliant Rumiko Takahashi. It premiered in Weekly Shonen Sunday on November 13, 1996 and ran upto June 18, 2008, with the chapters collected into 56 tankōbon volumes by Shogakukan. The plot is basically about the fifteen year-old Higurashi Kagome, a typical Japanese high-schooler, who gets pulled into the enshrined Bone Eater’s Well on her fateful birthday and goes five hundred years back in time to Feudal Japan, a place packed with beautiful landscapes, ghastly demons of the netherworlds, treachery and lies. There she meets Inuyasha, the canine half-demon, dressed in a gorgeous red cloak and bright silver hair, who is after the magically powerful Shikon jewel, just like many other demons shown on the show. Together they embark on an adventurous journey to retrieve the shattered parts of the Shikon jewel and defeat the powerful demon – Naraku. On their journey they find friends in Shippo, Miroku, Sango and our beloved pet Kirara. They face many a number of demons, encounter various emotional events, a lot of hardship, betrayal and finally true friendship. They ultimately succeeds in defeating Naraku and lives happily ever after. On the surface it might look like a kid’s everyday action-packed series. But Inuyasha is much more than that. The series is rather complex and blends the cartoonish drama as well as real-life situations of making difficult choices perfectly. Takahashi creates a beautiful serene vista of Japanese Feudal era and incorporates it in a fantastical setting where she throws in her characters into both funny and heart-wrenching situations. We encounter the betrayal of trust, the pain of losing family and the ache of being boycotted. This is also one of the rare stories where evil really corrupts and is cunning and elusive rather than being just one big dumb character. I don’t want to be one-sided, but to be honest, Inuyasha is one of the top five of our favorite animes. It is fun; it is funny; it is sad; and it brings the tears of both joy and sorrow to our eyes. The array of emotions seeping through the anime just sends my poor heart on a heart-breaking frenzy. By the end of the season you will find yourself attached to the characters more than you wanted to and trust me, you will only think about them for a long while even when the show ends. On that note, I must say this show is not for the feeble of heart ‘cause Inuyasha is going to play with your emotions bad. But still, we recommend you all to give this anime series a go and believe me you won’t be disappointed.